Jaipur Living rugs bring new textures, colours and imagination to area rugs. You can choose from rugs we have in stock or from our sample selection. Rugs can be ordered in the size you require, from a mat to a carpet that fills your favourite room. Jaipur Living offers rugs in round, square and rectangular shapes as well as narrow runners. 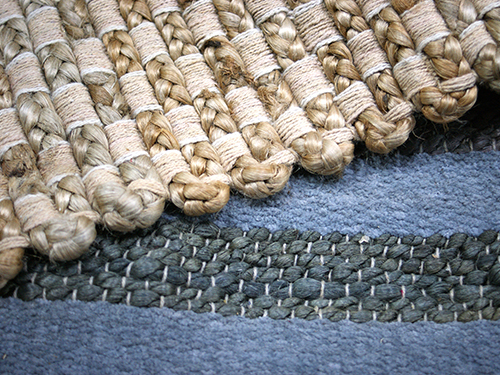 Their unique designs come in both indoor and outdoor rugs. Taking your Furniture from Ignored to Adored. 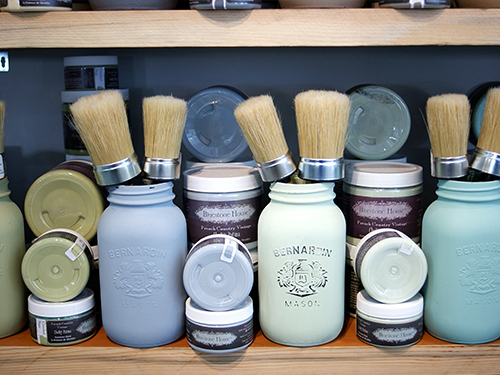 We carry the complete line of Bluestone House Chalky paint. You won’t believe the transformation possible with this Made in Canada product. Graham and Brooks offers workshops to help you can bring a tired piece of furniture back to life. Redecker Brushes are a line of excellent quality household brushes from Germany…real wood and natural bristles. You will find just the brush you need to clean your hairbrush, take pet hair off the couch, clean your kids’ drink bottles and revitalize your terracotta pots. 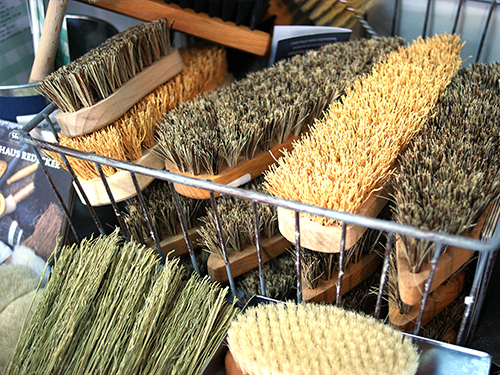 There is a brush designed specifically for all your cleaning needs. Graham & Brooks brings five fresh scents of this aromatherapeutic line to Dundas. The Daphne Feather Moss scent will have you thinking you are in the midst of a lush boreal forest, or the crisp and bright scent of Sea Salt Neroli inspires thoughts of clear mornings at the shore. 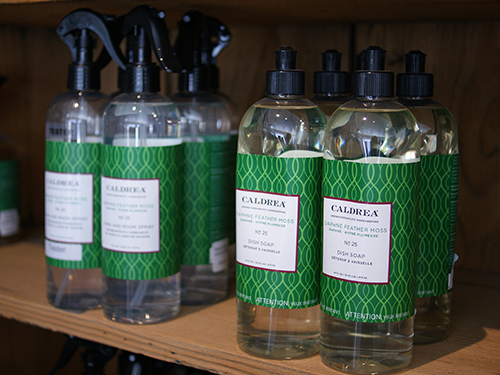 All scents will change your thinking about cleaning products. No more harsh lemon or too flowery sprays and detergents. Our selection includes Room and Linen Spray, Laundry Detergent, Fabric Softener, Counter Cleaner and Dish Soap for your home. And hand soap and hand balm for you. 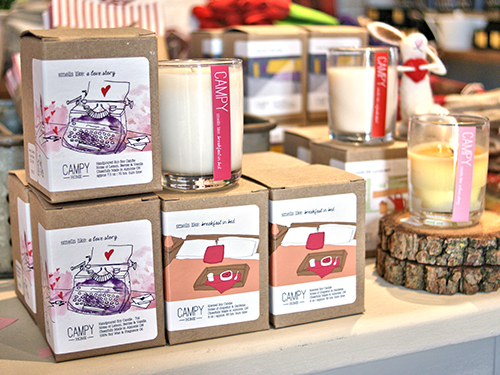 Campy Candles are hand poured soy candles, with a story. Can’t decide on a favourite? Try “Smells like a Long Weekend” and “Smells like a Late Night” from the eleven available scents. You will want more than one. 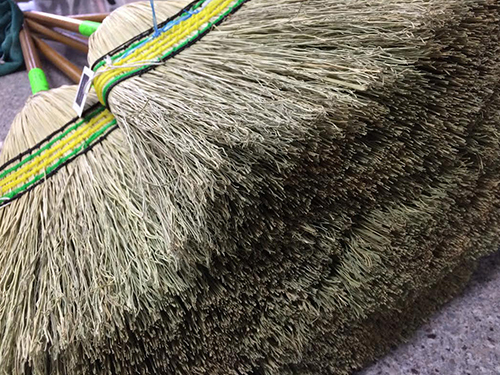 Our Corn Brooms are individually made in St. Jacobs, Ontario. Perhaps you know Hamel Brooms. They are now sold at Graham and Brooks in Dundas. 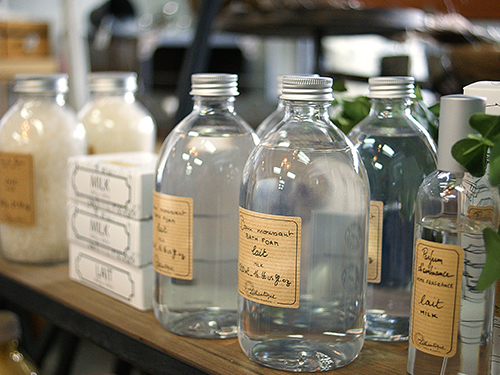 Infused with rich spirit and history, Lothantique is a modern company bringing together old world Provencal tradition and formulas with contemporary technology incorporating environmentally conscious and ethical measures. 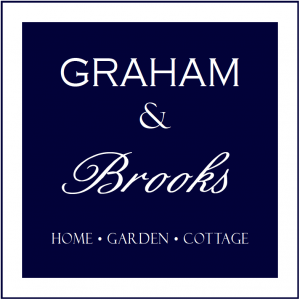 At Graham & Brooks we offer three of the most beautiful scents: Green Tea, Milk and Grapefruit. Pamper yourself or surprise someone with a lovely gift. 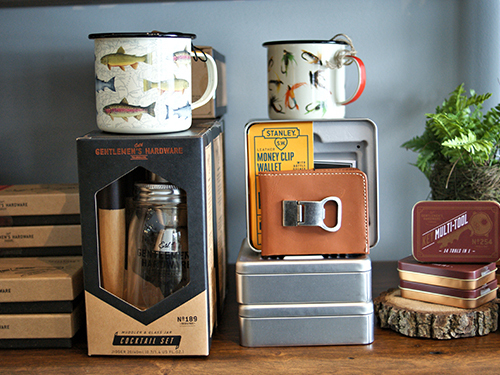 Graham & Brooks is happy to be offering Gentleman’s Hardware gifts for men. 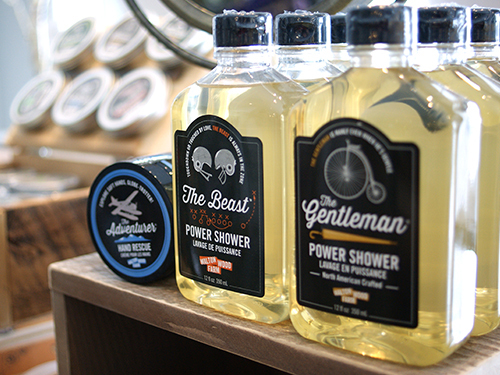 This masculine line of superior, durable and responsible goods equip modern gentlemen for the rigours of life. Gifts crafted with an unfaltering commitment to quality, function and style. Check out our selection which includes multi tools for the bar, kitchen, grill, garden and for the tool box. Walton Wood Farms headquartered in the Peterborough area, is the maker of high quality products made with sustainable ingredients. They craft their product from essential oils and butters which are free from harsh ingredients. They are Vegetarian/Vegan Friendly, and Gluten Free. Check out Graham & Brooks selection of Beard Balm and Beard Wash, Solid Colognes, Hand Rescue and the most popular, Boys Don’t Stink bar soap.